Reenacting Life in 1778 Newport, 25 Aug.
Phillis Wheatley Day at Old South, 18 Aug. Living History in Quincy, 18 Aug. When Did Susanna Rowson First Come to America? 2018 Seminar at Fort Ticonderoga, 21-23 Sept.
Susanna Rowson was America’s first blockbuster novelist, achieving lasting success with her fourth fiction, Charlotte: a Tale of Truth (1790), later retitled Charlotte Temple. The day after Rebecca entered Miss Abthorpe’s service she set off for London, where she was to join Mr Seward’s family, who were to embark on board the same ship with her, and under whose protection she was to proceed to New-England. 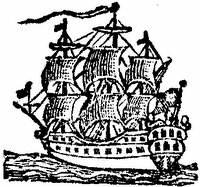 It was late in September when they arrived in town, and a variety of incidents detained them till the middle of October, so that they had but an untoward prospect before them, when so late in the season they embarked at Deal, on board a brig bound for Boston. were so exhausted that they were obliged to live on a very small allowance of bread; of the water and salt meat which they had, together with a few pease, they were extremely careful. After some anecdotes about the crossing (which I’ll return to), the ship finally reaches Massachusetts Bay. But by now it’s in the middle of winter. The port of Boston is situated in such a manner, that, after having made land, six or seven hours good sailing will take a vessel into safe harbor, so that our weary voyagers began to think of landing that evening, however late it might be when they arrived;—but as the night came on, the wind increased, accompanied by snow and sleet; the cold at the same time being intense, it froze as it fell, and in a very short period the ropes about the ship were so incased in ice that they became immovable; the darkness increased, and to add to their distress, they lost sight of the light-house at the entrance of the harbor. Their situation now was imminently dangerous; driving before the wind, among a multitude of rocks and breakers, without the least chance of avoiding them; to be shipwrecked in the very sight of home, was a painful trial indeed, yet this was what all expected, and for which all endeavored to prepare themselves with patient resignation. About ten o’clock all their fears were realized, and a sudden shock convinced them they had struck on some rocks. The ensuing scene from that time till seven the next morning is better imagined than described, for till that time they had no prospect of relief, but continued beating on the rocks, the waves washing over them, and expecting momentary dissolution. As the day-light advanced they discovered the island, from which the reef ran, to be inhabited. 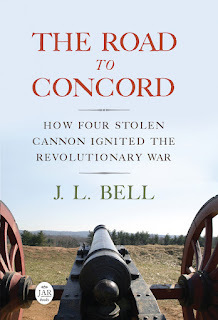 Several muskets were immediately discharged, and signals hung out, and about eight o’clock they discovered people coming to their assistance. It was impossible to bring a boat near the vessel, but the tide beginning to leave her, the men waded into the water, and placed a ladder against her side, down which the fear of immediate death gave Miss Abthorpe and Rebecca courage to descend; but what were the feelings of Mr. Seward, when he found the impossibility of his little daughter’s going down, so dangerous was it rendered by the ice that enveloped the steps of the ladder, and whence, if she fell, she must have been dashed to pieces, or lost among the rocks; nor did he dare to venture to descend himself with her in his arms, lest a false step or slip might destroy them both. But there was not time for much deliberation, as it was absolutely necessary to leave the ship before the tide returned. At length an old sailor offered an expedient which was thought feasible; and the agitated parent fastened a strong cord round the waist of his child, by which he lowered her down the side of the vessel; the old sailor caught her in his arms, and bore her exultingly to the shore. A new world was now opened to Rebecca, who, when she was a little recovered, beheld with astonishment how every object was bound in the frigid chains of winter.—The harbor which she could see from the house on the island, was one continued sheet of ice. The face of the country was entirely covered with snow, and from the appearance of all around she could form no probable hope of getting to colonel Abthorpe’s till the genial influence of spring should unbind their fetters; but in this she was agreeably mistaken, for the inhabitants of those cold climes being accustomed to the weather, were quick in expedients to facilitate their conveyance from one place to another. The very next morning a boat was procured, and men placed at the head to break the ice as they proceeded. By two o’clock on the thirtieth of January, 1767, our heroine found herself once more on terra firma, comfortably seated at a large fire, in colonel Abthorpe’s parlor; for during the voyage Miss Abthorpe had conceived such an esteem for her, that she insisted on her being considered as a friend and sister, and her parents had too high a respect for their daughter, to wish to contradict so laudable a desire. The Abthorpe family was no doubt inspired by the Apthorps, probably the wealthiest family in pre-Revolutionary Boston. The Apthorps were even more an inspiration for America’s very first fiction blockbuster, William Hill Brown’s one-off The Power of Sympathy (1789). The young lawyer Perez Morton married Susan Wentworth Apthorp in 1781, then seduced her younger sister Frances. After becoming pregnant, Frances Apthorp committed suicide in 1788. That situation just cried out for a roman à clef. But unlike Rowson, Brown never published another novel. TOMORROW: How Rowson drew on her own memories. I've always been intrigued by the double perspective that is often shown in period graphics of sailing ships like the one at the head of this post. The hull is viewed from the quarter, but the sails and rigging are shown as the would look from an angle forward of the beam, with the forward sails overlapping the ones behind them. I wonder if this is an echo of some sort of artistic convention.